The Zika virus is becoming more and more worrisome with winter coming to a close. Researchers have stated that the virus will hit the U.S. when Spring finally arrives and the mosquitoes that carry it can migrate north. While agencies such as the World Health Organization (WHO) and the Pan American Health Organization (PAHO) are focusing on the virus, a recent study shows that it might be more dangerous than previously thought. New research conducted in French Polynesia shows that in addition to its own symptoms, Zika virus may cause some people to develop Guillain-Barré syndrome (GBS), an immune and nervous system disorder that can lead to paralysis. The researchers came to their conclusion after studying 42 patients who contracted GBS after being infected with the Zika virus. Eighty-eight percent of the patients reported that they had shown symptoms of Zika virus at least six days before neurological problems caused by GBS set in. “This is the first study to look at a large number of patients who developed Guillain-Barré syndrome following Zika virus infection and provide evidence that Zika virus can cause GBS,” said lead author Arnaud Fontanet, a professor at the Institut Pasteur in Paris, France. Researchers monitored the symptoms of each patient who contracted GBS. Thirty-eight percent of them were eventually admitted to an intensive care unit and 29% needed breathing assistance. After three months of being discharged from the hospital, 57% of patients were able to walk again without any form of assistance. From the data that the researchers collected, they estimate that 24 people will develop symptoms of GBS for every 100,000 patients who are infected with the Zika virus. While that number only represents .024% of all patients, experts are unsure how the infection rates will change in the coming months. Researchers are also unsure of whether or not the virus will change or mutate, or even if it already has done so. “A little caution should be taken because the data are still scarce and we do not know whether the current Zika virus is identical to that in previous outbreaks, whether it will behave exactly the same in a different population with a different genetic and immunity background, or whether a cofactor or co-infection is responsible,” said Professor David W. Smith of the University of Western Australia in a linked comment. 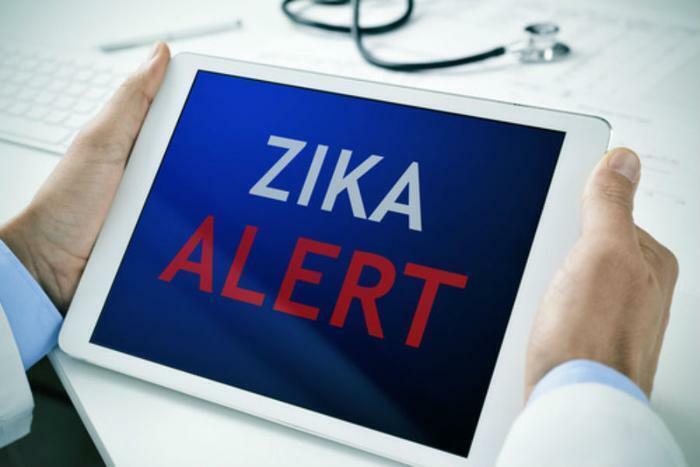 “Suffice to say Zika virus can be added to our list of viruses that can cause Guillain-Barré syndrome, and investigation of these cases should include tests for Zika when there is a possibility of infection by that virus. Whether Zika will be proven to pose a greater threat in causing Guillain-Barré syndrome than its various flavivirus cousins remains to be determined,” he concluded. The full study has been published in The Lancet. The Zika virus is contracted when a person is bitten by a mosquito that carries it. The Centers for Disease Control and Prevention (CDC) estimates that approximately one in five people who are bitten will contract Zika and actually become ill. The symptoms are similar to having the flu in some respects; patients can expect fever, rash, joint and muscle pain, and conjunctivitis (red eyes). The exact incubation period for the disease is uncertain, but researchers believe that it could be anywhere from a few days to a week. While it is rare for someone to die of the Zika virus, the infection can be more dangerous for certain people. For example, pregnant women who are infected by Zika can pass it to their unborn fetus. This can result in a birth defect called microcephaly, wherein a baby is born with an abnormally small head. Microcephaly can cause various brain and developmental disorders, including seizures, developmental delay, intellectual disability, movement and balance problems, feeding problems, hearing loss, and vision problems. If you are worried that you have contracted the Zika virus, the CDC recommends that you see your healthcare provider right away. Those suffering from the disease should also be sure to get plenty of rest, drink fluids to prevent dehydration and take acetaminophen to relieve fever and pain. Patients should not take aspirin or other anti-inflammatory drugs. The CDC also stresses that patients should avoid being bitten by mosquitoes after they have already been infected – this can result in more mosquitoes carrying the virus, which will cause greater danger to others. For more information on the Zika virus, visit the CDC website here.